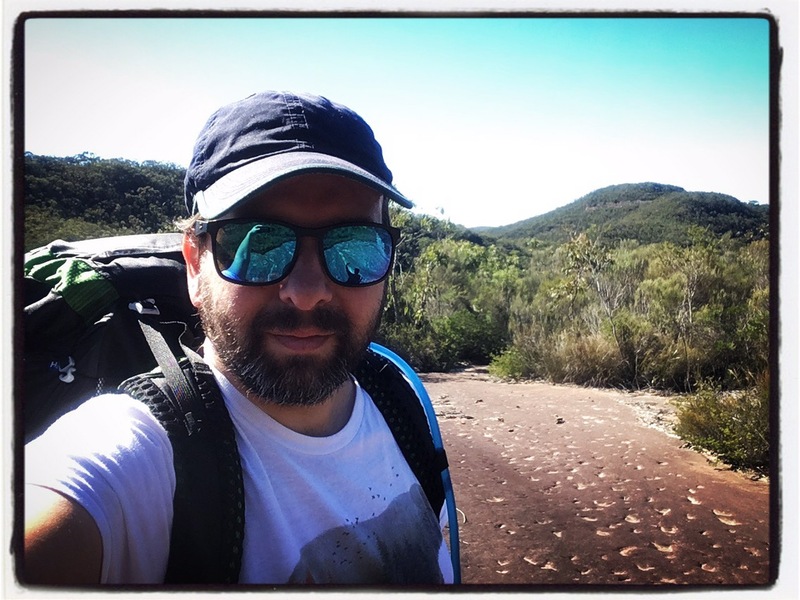 I’ve been working my way along the 250km Great North Walk, which runs from Sydney to Newcastle, Australia for over a year and a half now, taking the opportunity to head out whenever a free day opened up. 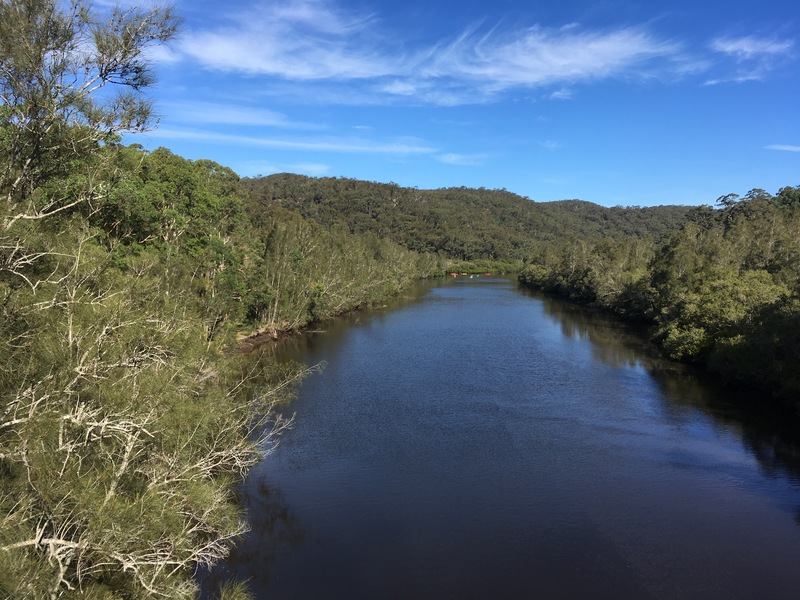 The next section, Wondabyne to Somersby, would be 27km and could be done in a single 10hr day if I pushed, but I tend to strain something if I push that hard so I had a bit of a problem as to how to tackle it. Also, future sections would take me deep into forested areas that requires being able to camp in critterland for multiple days in a row, which I feel somewhat nervous about doing. 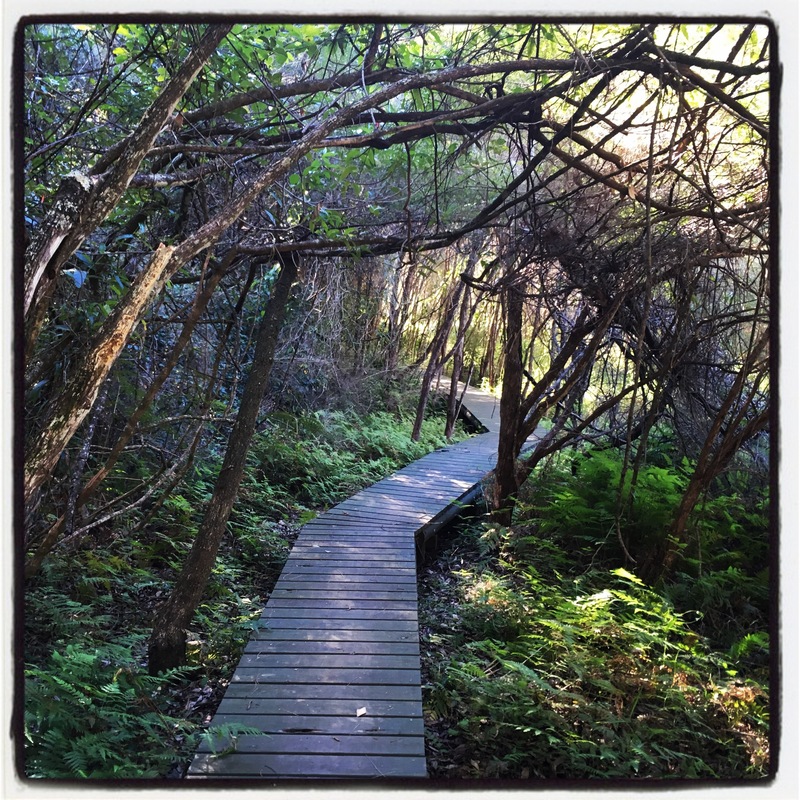 Enter the “30 days to overnight hiking challenge ” run by professional blogger Caro Ryan at lotsafreshair.com. 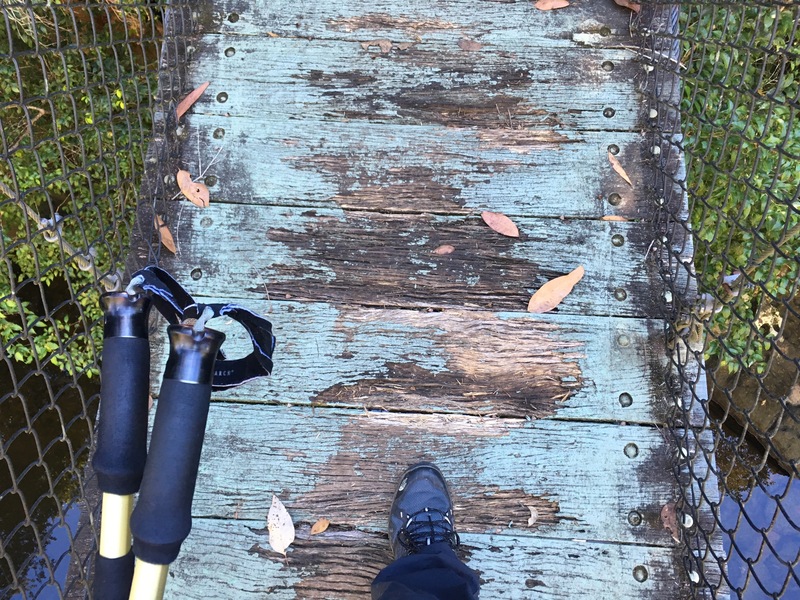 This challenge helped folks examine their reasons for hiking and provided a training and learning program to get participants comfortable with overnight hiking. 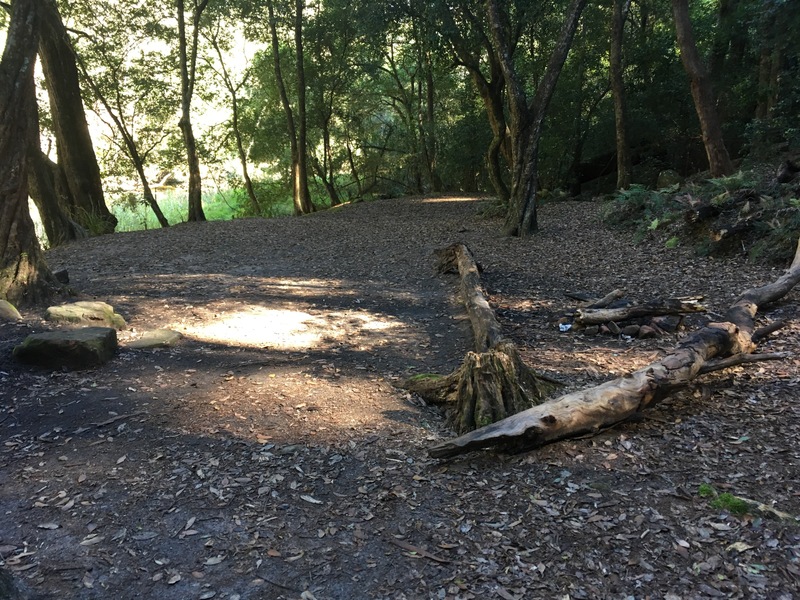 The challenge for me was to camp in a wooded area with the critters and to also set a realistic walking distances for future sections that would hopefully prevent injury. So, I would break up this leg into an 18km day, camp at night followed by a shorter 8-9km day. This meant that suddenly the next legs of the Great North Walk we’re achievable! 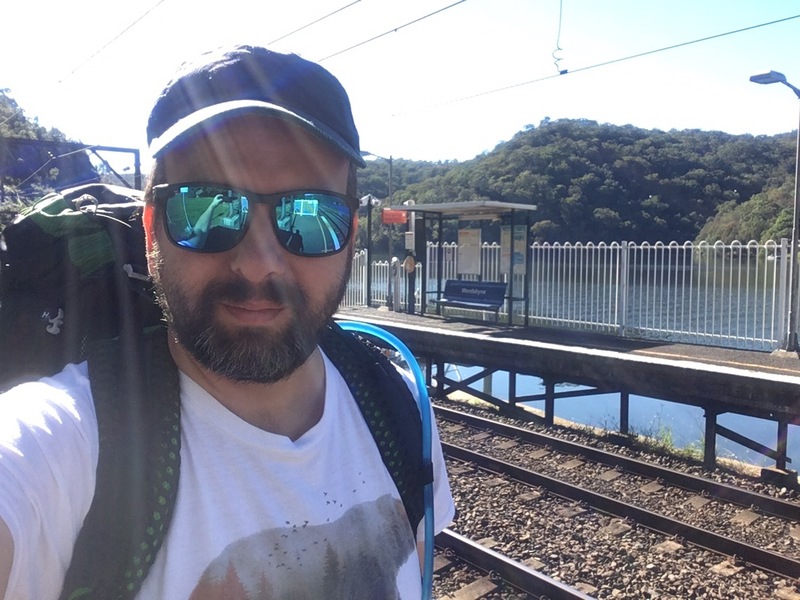 I started walking from the delightful Wondabyne station, a station so short you can only gain access from the last door of the last car of the train and you have to tell the driver you want to get out! The first few hundred meters were nearly vertical and views of the river were soon left behind. 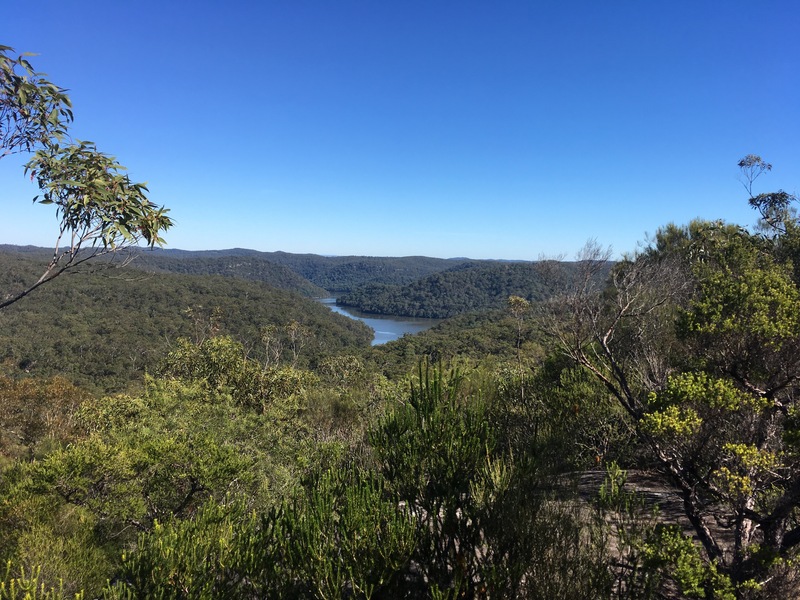 After a long stretch of firetrail I suddenly found myself with views of Berowra Creek in the distance and the first of some stunning rock platforms. 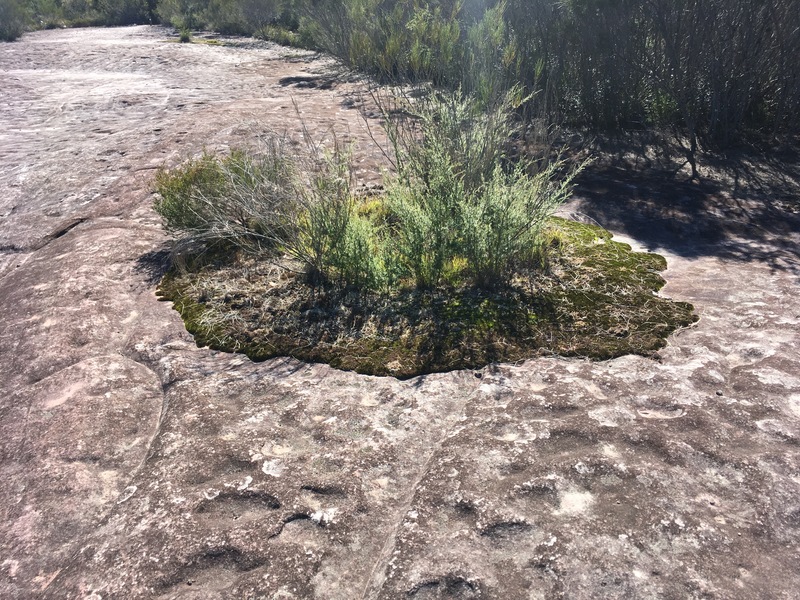 The walk carried me through some low vegetation, passed over the tree covered Scopas peak, and reached a wide rock platform with 360degree views! It’s the sort of view that stops you in your tracks and makes you wish you could pull others out here to see this, to know it’s here! 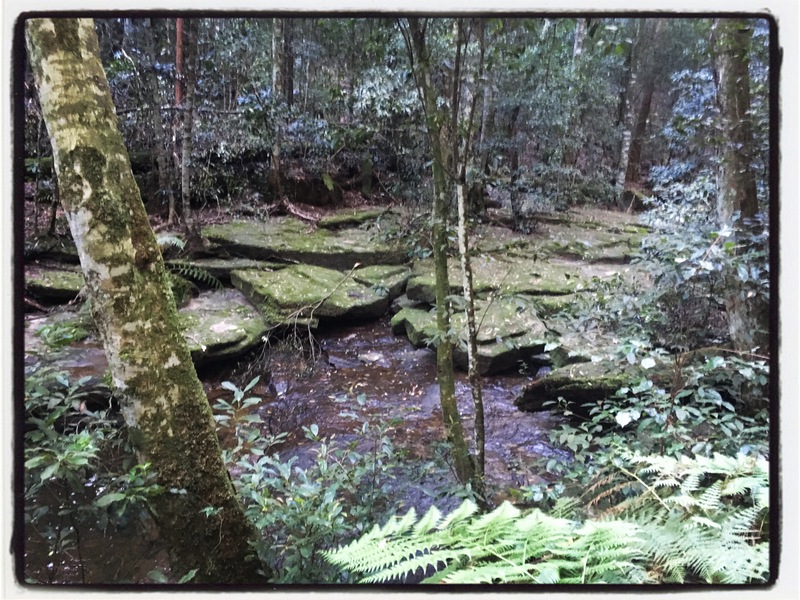 I crossed a bouncy old suspension bridge and snapped some pictures up and down Piles creek before stopping for lunch near a campsite. I just sat and watched the gentle slow flow of the river for a while. There was a large water dragon and a few finches in view and it was a very peaceful place indeed. 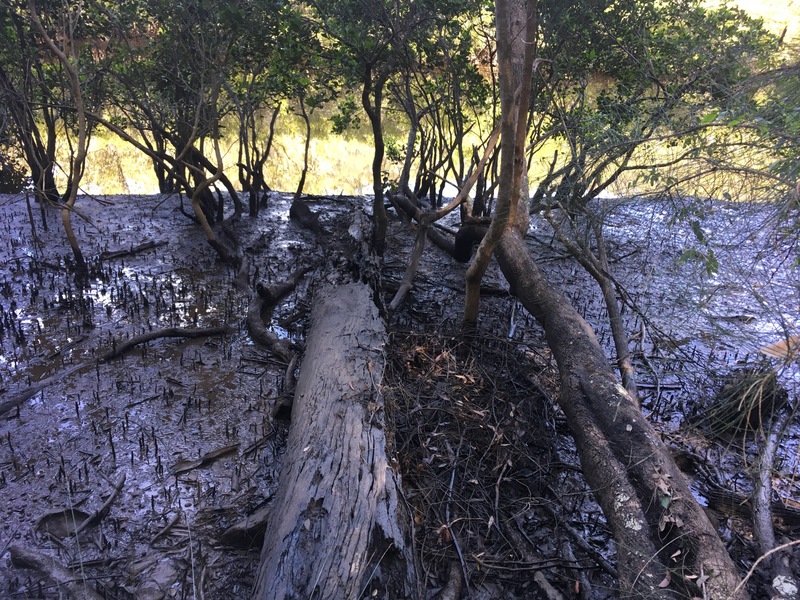 I entered a region of mangroves and paused,as I do, to listen. The woods sounded almost haunting with the song of a single bellbird filling the air. I captured it on video. 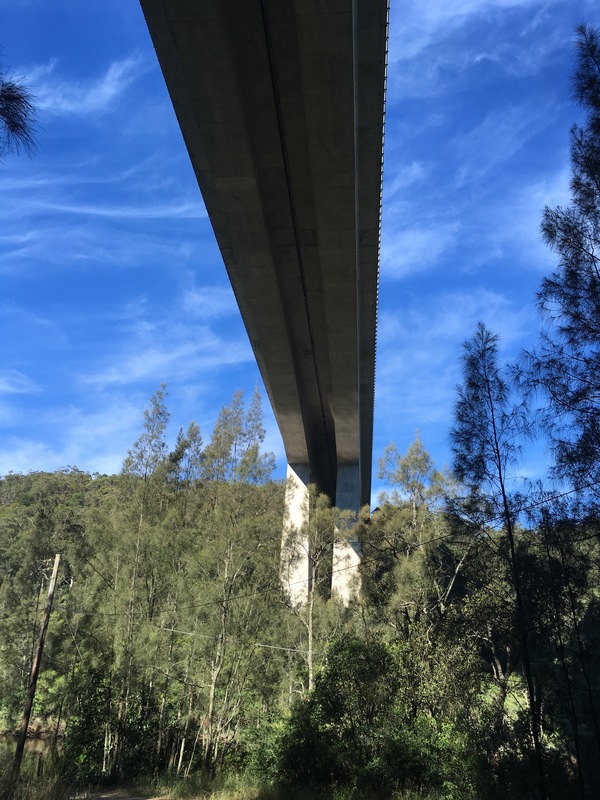 After joining Mooney Mooney Creek I saw the F3 freeway spanning the water and I realised that I was walking amongst the riverside communities that I had spied from the car. I had always wondered about the lifestyle. Every house had a boat, some had houseboats and little wharves. There was a kids birthday party with lots of guests, a guy sitting on his balcony with wearing a qld shirt, basically all leading a normal life next to the river. 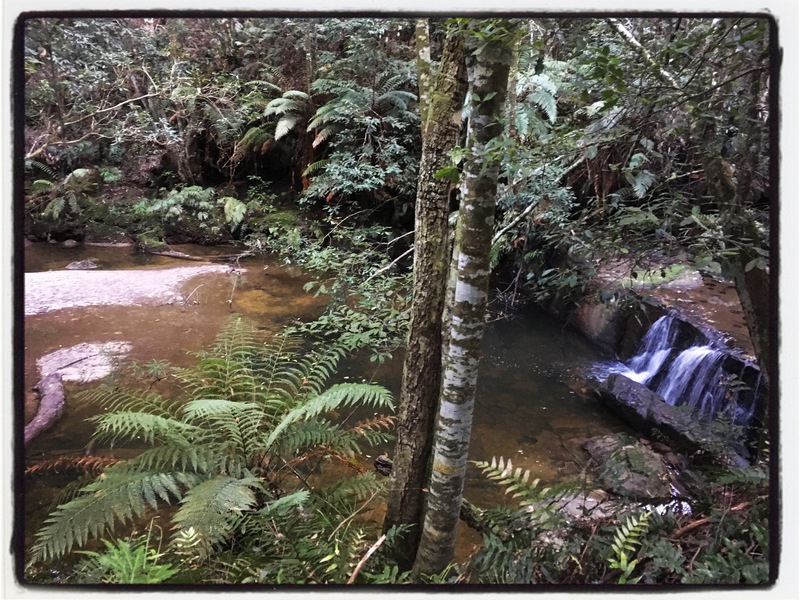 The walk turned beautiful for a spell then met up with Auburn creek where I had a bit of a problem. I couldn’t figure out where the trail led! There was a tree blocking what appeared to be the path so I clambered over it only to find my “path” disappearing. Hmm. 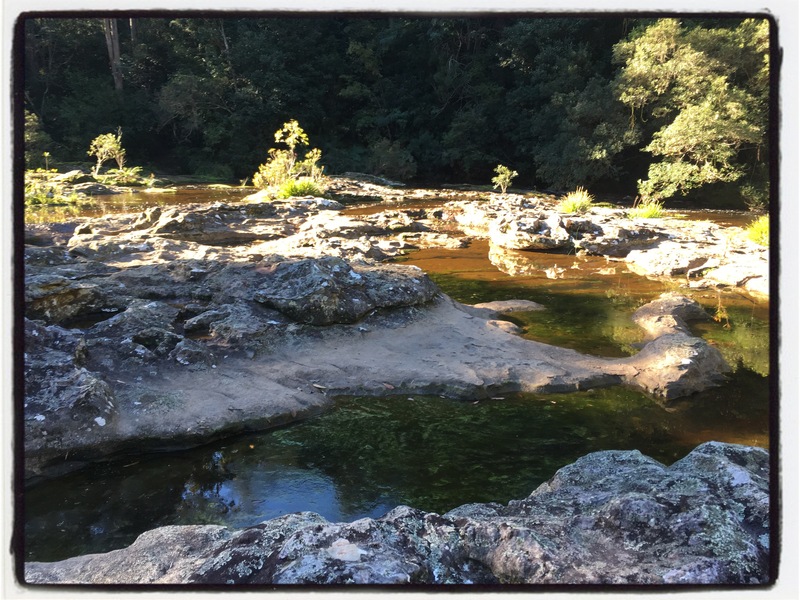 Looking at the track notes that I had downloaded from WildWalks and checking out my maps I realised that I had to cross the river! I spied where the trail continued and explored the rocks to find the best route across. I used my poles to judge the depth and managed to cross with only getting the top of my sock wet! My new shoes and the quick dip kept my feet nice and dry. I did find shallow rocks to use as stepping stones so in the end it was easy. 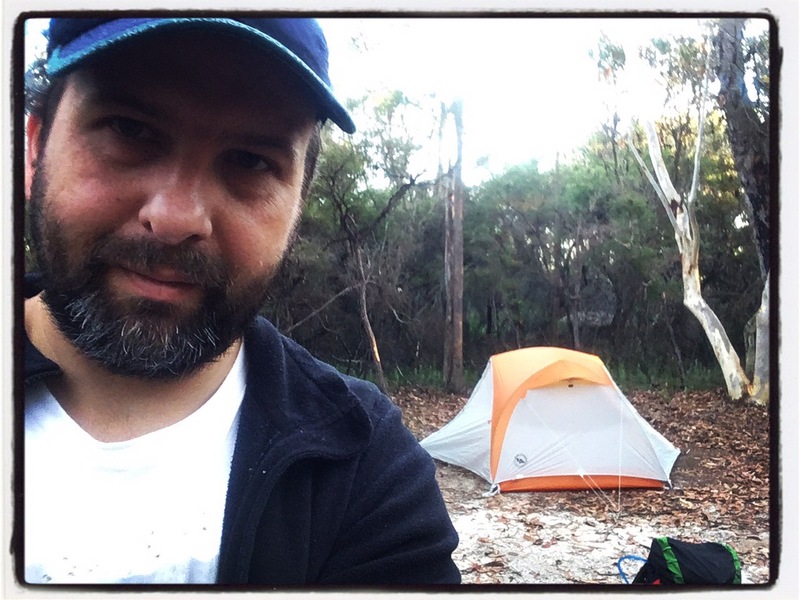 I started checking the time as I wanted to arrive at camp before dark and I made it past Mooney Mooney Dam exactly when I had planned to do so I was happy. I gather some water from a cliff side trickle for cooking. Further along I met a mountain biker who lived in the area who told me that the campsite was not too far. I reach the site with an hour of daylight left. I started hearing music and cheering and realised that I was camped reasonably close to houses and could hear someone’s party. So I listened towhat must have been an entire album of Coldplay before turning on my own selection. I started off with The Revener, then Muse, then Dido and finally Mike Oldfield’s “Songs of distant earth”. Then I got up for a torchlit wee before finally drifting off to sleep. I awoke to a light pitter pattering of rain on the tent. It didn’t last for long. I let the air out of my mat then got up and made a coffee. I skipped a cooked breakfast and went with a protein bar instead. It took about twenty minutes to pack up and I was on my way again. I had low expectations for this part of the walk as it would pass near urban industrial areas. There was a quarry nearby and the trail passed through a set of silo’s. my first sight of the day was a dead rat laying in the middle of the track. I met a council worker who jumped when he saw me. He told me his friends had walked the whole trail and that there was some lovely track ahead. There were not many views for a while but the vegetation changed noticeably and was quite pretty to walk through. I soon came upon the highlight of the day. 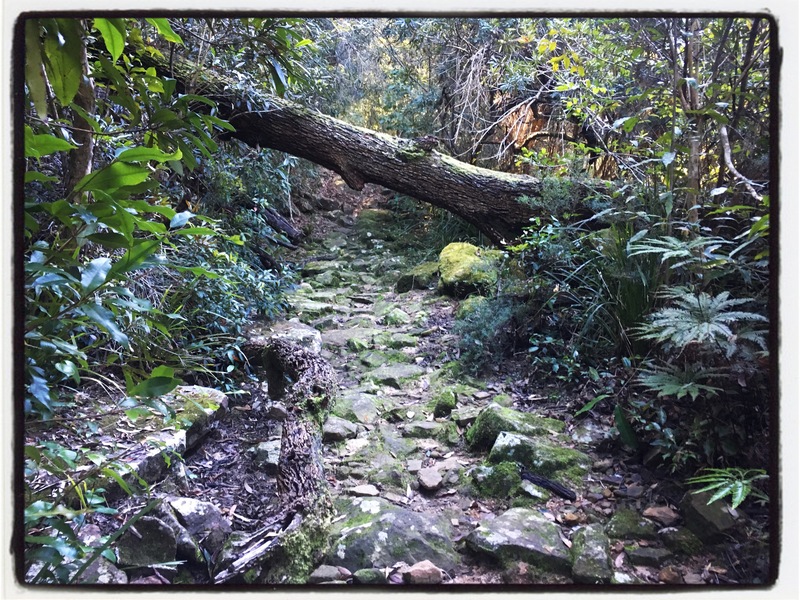 I descended into a moss and fern filled gully that was quite enchanting. There was a little water fall and many moss covered logs. I lingered while I soaked it in. The final part of today’s two hour walk took me through a rural area with horses in the paddocks and ducks crossing the road. Very pretty but I couldn’t help but think of all the natural bushland and habitat that had been cleared. We have to live somewhere I guess. I stowed my poles and strolled the last twenty minutes to Somersby store to wait for my wife to arrive. The kids brought their bears along to greet me and we decided to make the most of the day by driving up to the awesome playground in Umina. 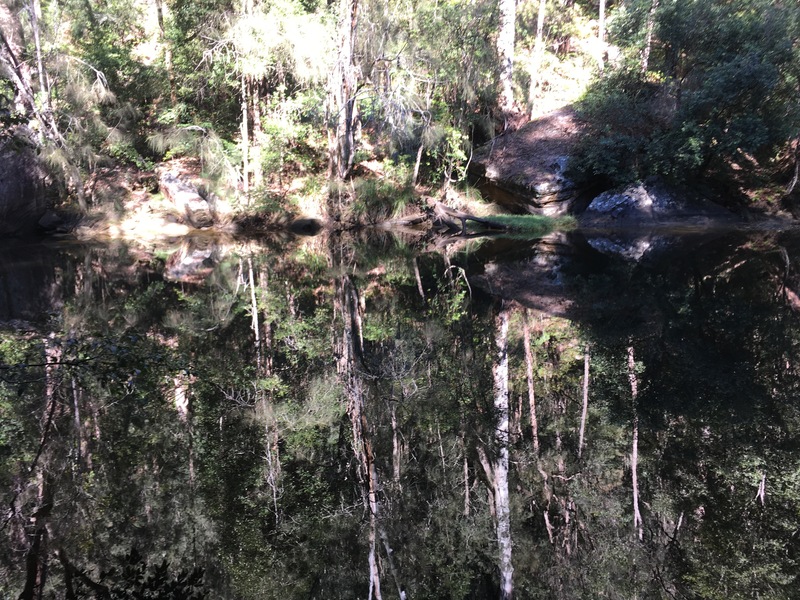 This was a fantastic walk and I’m pleased that the 30 days to overnight hiking challenge encouraged me to split the trip up with an overnight stay. It meant carrying more gear but by not pushing to finish in the day I think I have avoided injury or strains. Actually I felt fantastic over the next few days rather than being in recovery! It’s worth doing this challenge if it is run again- I highly recommend it. Oh! I almost forgot to mention that somewhere around Mooney Mooney creek I passed the official 100km mark! Newcastle here I come! Congrats on the hike and overnight, Nathan. And getting past the 100km mark! Interesting to see what you are up to. 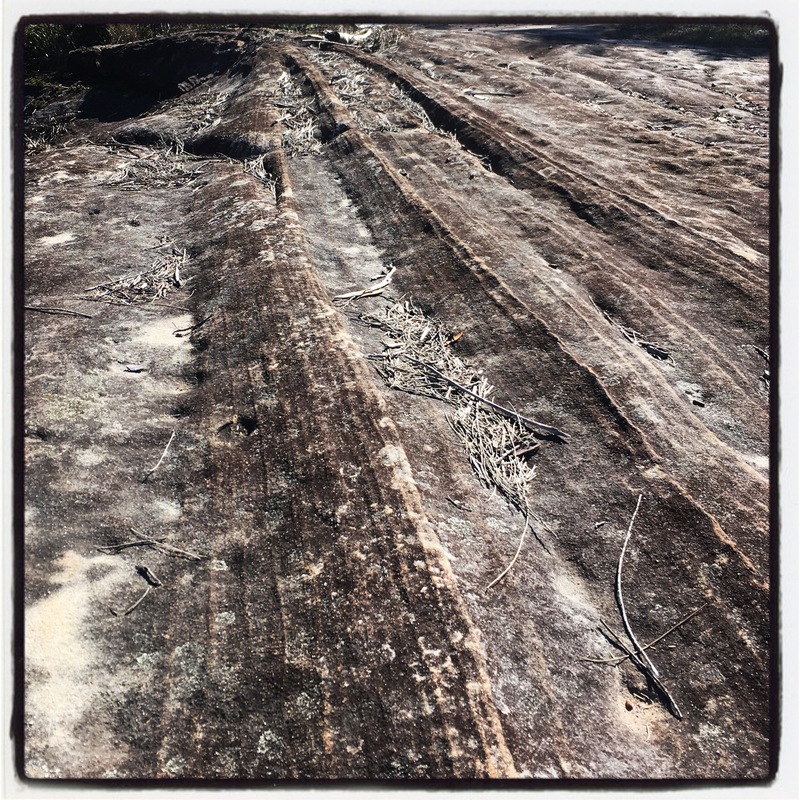 A couple of blogs I find good are “Walking with Wired” and “Lady on a Rock”. Thank you! I’ll check those blogs out. Well done, Nathan! I loved all the photos and videos especially the one with the bellbird which I’ve never heard before. Thank you! That birds call just filled the valley and made one stop and listen. It was a lovely walk. I didn’t really know what to expect this time but it turned out very nice.